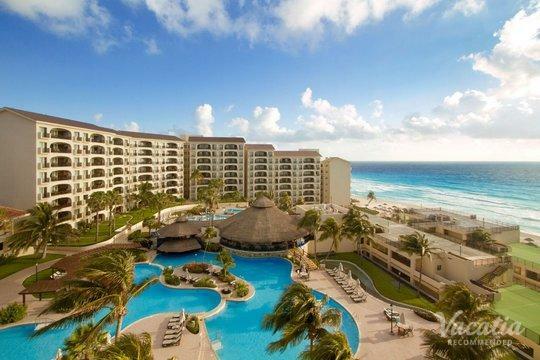 Cancun is known far and wide as one of the best vacation destinations in the world. 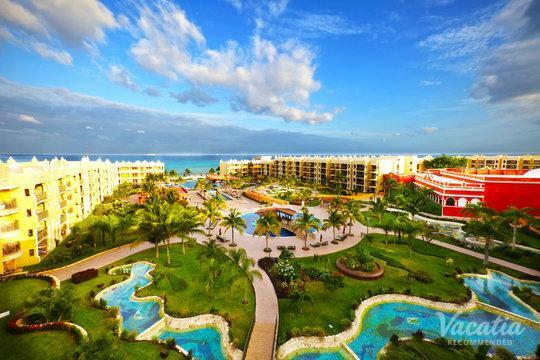 This Caribbean-Mexican locale boasts white sand beaches, turquoise waters, exciting nightlife, and more. 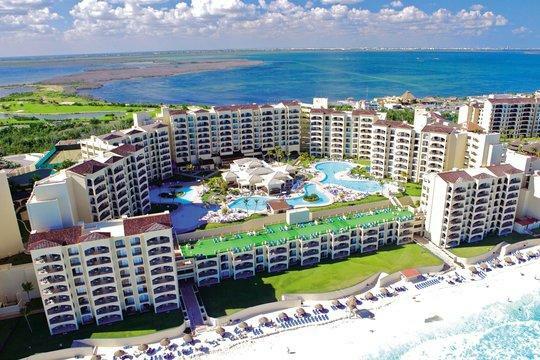 Whether you want to relax or seek some thrills, Cancun is where you want to be. 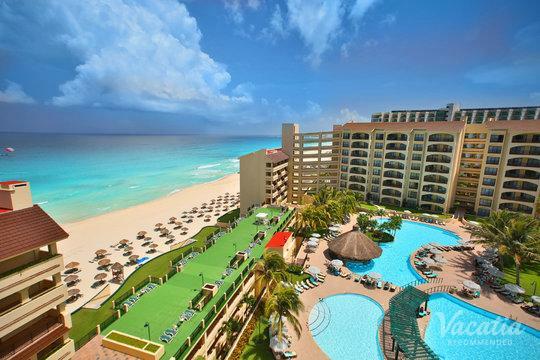 One of the first steps in planning your getaway is looking for Cancun beach resorts online. A quick Internet search will yield a ton of options, but you don't want to sort through them all. 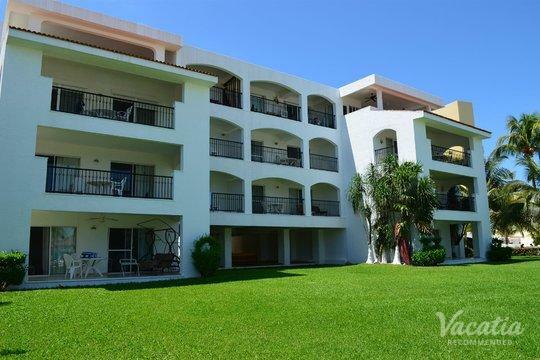 Fortunately, Vacatia's detailed and comprehensive listings make it easy to find Cancun beachfront resorts quickly and easily. All of our accommodation comes with high recommendations. If you have any questions, just ask a member of our Guest Care team via online chat. Vacatia consistently delivers high levels of customer satisfaction, so why not find out for yourself what makes us so popular? 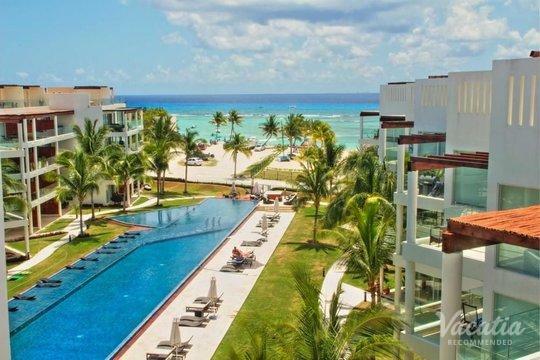 When you start planning your Cancun vacation, you're probably looking forward to all the perks of resort life. Meanwhile, other vacationers want to have the comforts of home while they're away. 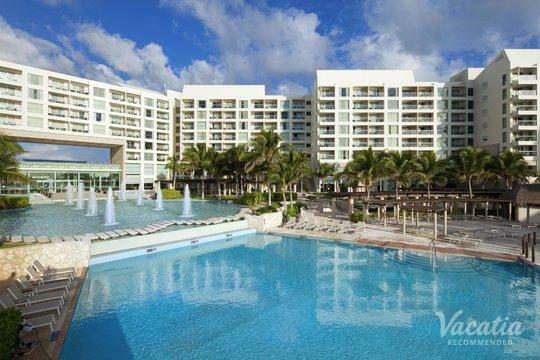 If you want the best of both worlds, you should book with Vacatia. 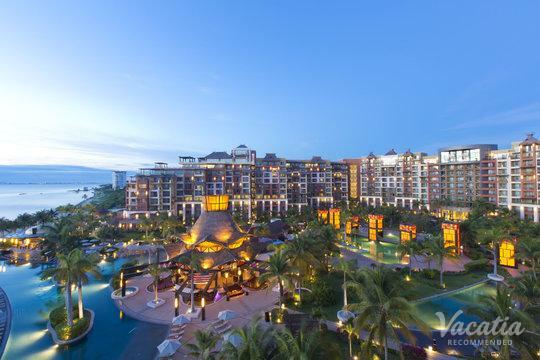 Our resort residences offer an unbeatable combination. You'll get your own living room, dining room, and fully equipped kitchen. Many units also have their own washer/dryer. This means that you'll be able to hang out with your friends and family in your own space, prepare some of your own meals to save on food costs, and pack a bit lighter knowing that you can do a quick load of laundry. 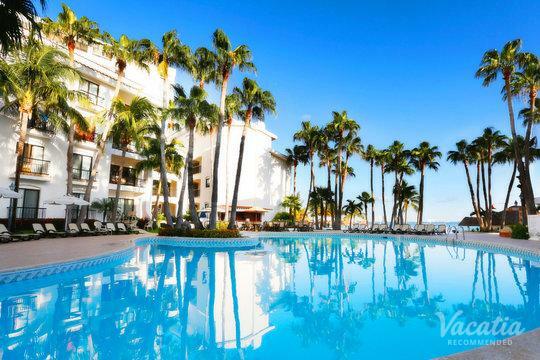 In addition, you'll also get all those resort-style benefits. You'll have daily housekeeping, concierge check-in, fun pools and waterslides, relaxing spas, gourmet on-site dining, and more. 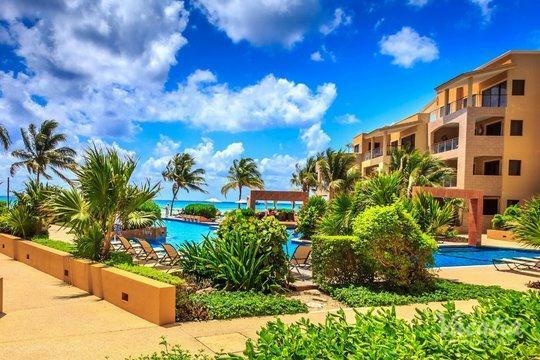 There is no place like Cancun anywhere else on earth. 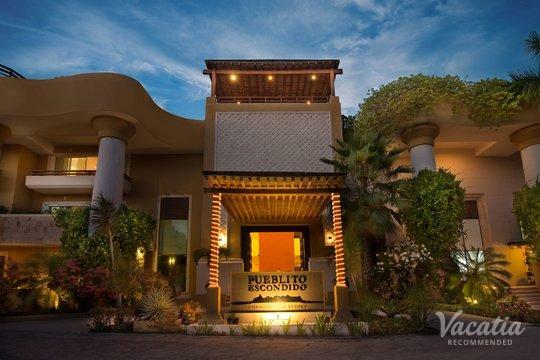 Tailor-made for vacationers, this destination is more than just beautiful beaches and perfect margaritas. 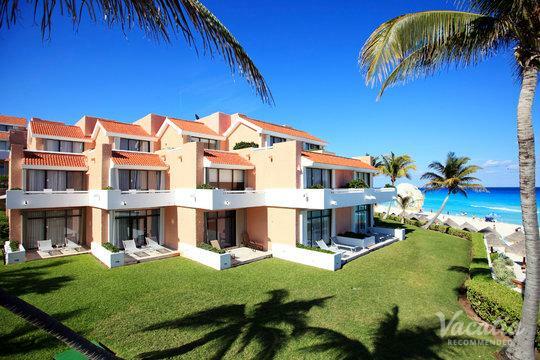 You can scuba dive or snorkel through the stunning coral reefs, play a round of golf on one of the city's five premier courses, dance and party into the wee hours with your best buds, indulge in an afternoon of retail therapy, or simply soak up the sun while the warm Caribbean waters lap at your toes. This Mexican city offers a fascinating combination of ancient and modern culture, as well as thrilling and laid-back activities. 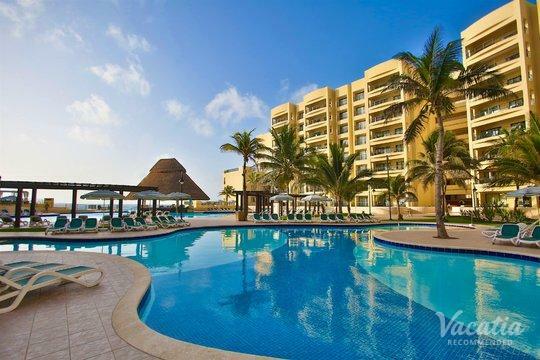 With world-class amenities and an unparalleled service philosophy, Cancun offers the perfect getaway. 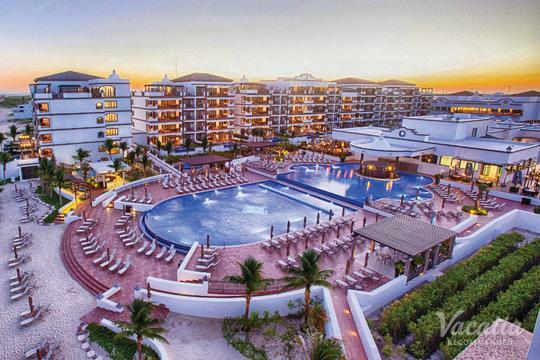 Book one of our beachfront resorts in Cancun, and discover this wonderful destination for yourself.